Act fast 10000 price adjustment! Located in Hammock Reserve this Oviedo Pool Home has it all. Starting with the largest premium lot in the neighborhood and tucked back in a cul de sac with a 90â long driveway. This 7 bedroom 4 bathroom stunning 4 car-garage home boosts over 4600 sq ft of living space and received tasteful builder upgrades including Gourmet kitchen wrought-iron railings 6â baseboards pre-wiring for cameras sounds cat-5 and much more! Home offers stadium riser movie room with a 110â screen (all theater equipment stays with house) In the backyard you will enjoy a large 45âx20â heated pool. Brand new carpet installed mar/2019 plantation shutters crown molding lots of overhead storage in the garage pre-plumbed for soft water. 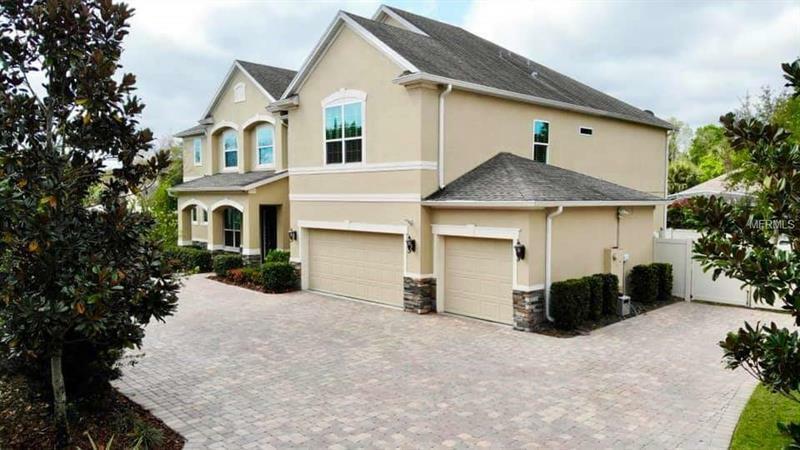 Property is located just minutes from 417 Oviedo Top restaurants Tuscawilla Country Club hiking trails and all of the best amenities that central florida has to offer. Make your appointment today!